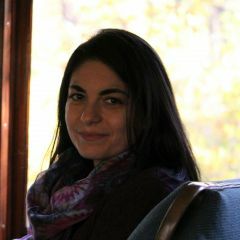 Teodora is a socio-cultural anthropologist and translator with international professional and educational background. Teodora has extensive translation and copyediting experience for academic presses, print and online media. As researcher, Teodora is interested in promoting a better understanding of the complex contemporary social, political, cultural and environmental issues, with a focus on the underrepresented perspectives of the marginalized, indigenous communities worldwide. With cultural and social sensitivity, Teodora contributes to projects, like Global Voices, that bring awareness of the inequalities, lack of freedom and violations of human rights around the world.